DANANG, Vietnam—The death toll from the typhoon that struck Vietnam at the weekend has risen to at least 49, the government said on Monday, Oct. 6. 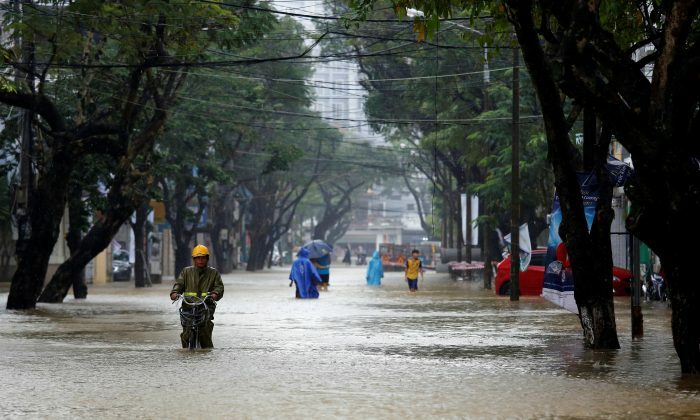 After Typhoon Damrey’s winds tore off roofs, felled trees and ripped up electricity poles, heavy rains brought floods to central Vietnam just days before the region is due to host the APEC summit of Asia-Pacific leaders. The Communist state’s Steering Committee for Disaster Prevention said 49 people had been killed and 27 were missing. It did not say how the victims died, but said most casualties were in Khan Hoa province near the city of Nha Trang, where the storm made landfall on Oct. 4. Nearly 2,000 homes had collapsed and more than 80,000 had been damaged, it said. 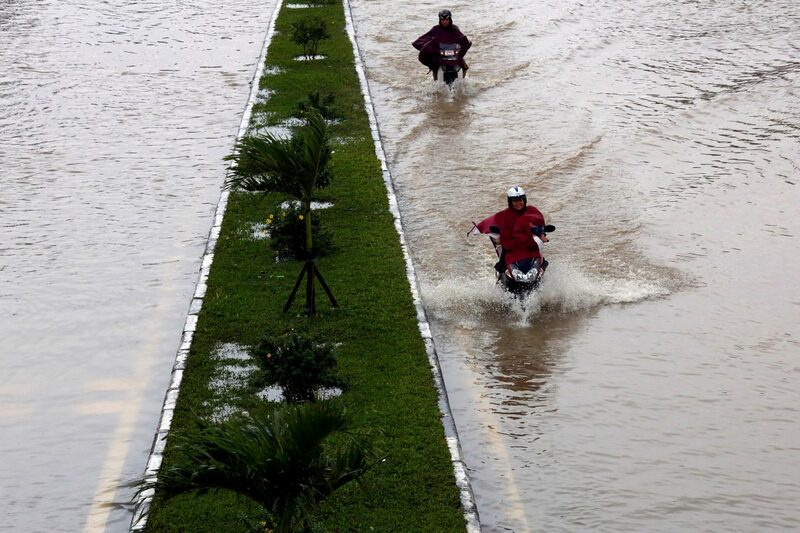 Roads that had been flooded or washed away caused traffic jams across several provinces. In Danang, authorities called on soldiers and local people to clean up after the rains so that the beach resort would be ready for delegates to the Asia-Pacific Economic Cooperation (APEC) meetings, which started on Monday. Although the rain continued, organizers said the schedule had not been disrupted. Danang will host U.S. President Donald Trump from Nov. 10, as well as China’s President Xi Jinping, Russia’s President Vladimir Putin and counterparts from other APEC members. The storm moved from the coastal area into a key coffee-growing region of the world’s biggest producer of robusta coffee beans. The typhoon had damaged some coffee trees at the start of the harvest season, farm officials said. But farmers in Daklak, the heart of the region, said the damage was limited.